Woodland Park Zoo Blog: Video games for the earth? Video games for the earth? There are more than 5 million people worldwide who go geocaching as a hobby, and this summer Woodland Park Zoo’s Zoo University “Animal Quest” camp added a few more! “I’ve never actually done geocaching, but once I’ve gotten to go geocaching I ended up absolutely loving it and want to do it more.” - Alexis L., age 13. It all started with an effort to get Animal Quest campers (ages 12-14) to step into the shoes of a wildlife field researcher: a scientist who does a lot of animal and habitat experiments in the field. The campers explored different tools each day that different wildlife field researchers use—everything from water testing tablets to binoculars to different types of nets to GPS units. As hydrologists the kids tested Green Lake’s chemical and biological health. As ornithologists (bird scientists) they helped the staff monitor and count the barn swallows living here at the zoo. 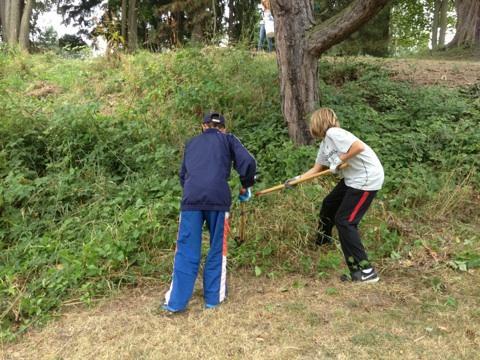 One day the campers put their research skills to action and removed some invasive plants from a city park to help improve the habitat for native plants and animals. 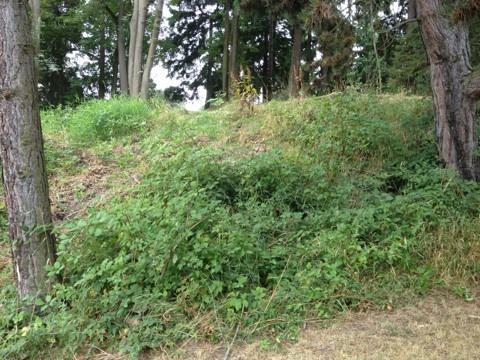 Himalayan blackberries at Woodland Park, before Zoo U campers got to them! Photo by Mackenzie Quinn. Zoo U campers, busy at work with tools and guidance provided by the City of Seattle. Photo by Mackenzie Quinn. Much better! Now mowers and planters can enter the area. Photo by Mackenzie Quinn. At the end of the week, the campers met with the field conservation team at the zoo and discussed global field research and conservation programs. 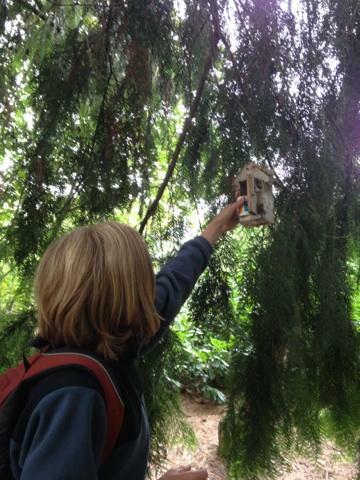 To master the skill of using GPS units, the campers went geocaching throughout the week in the parks surrounding the zoo. Geocaching is a global game using satellites and GPS units to find hidden boxes. There are more than 2 million different caches placed all over the world; check out geocaching.com for videos, links to caches, and more! I often like to describe geocaching to kids as a video game for the earth, where they themselves are the players and their GPS units are their controllers. 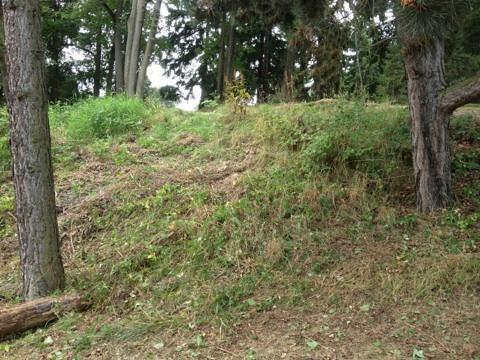 Geocaching is a fun way to explore wild as well as urban areas and discover unique places; there are many locations I've been to that I would have never seen if a geocache hadn't been waiting there! Geocaches are found all over the world—under logs, on buildings, high up in trees, even at the bottom of the ocean—and now there are three new caches at the zoo for anyone and everyone to find! As a culminating activity for their week of camp, the campers put their creative minds together to craft caches that will be permanently placed on zoo grounds. These caches will be large and easy to find which make them great for families and people interested in trying a new hobby. “It was cool that I got a new hobby by coming to camp. 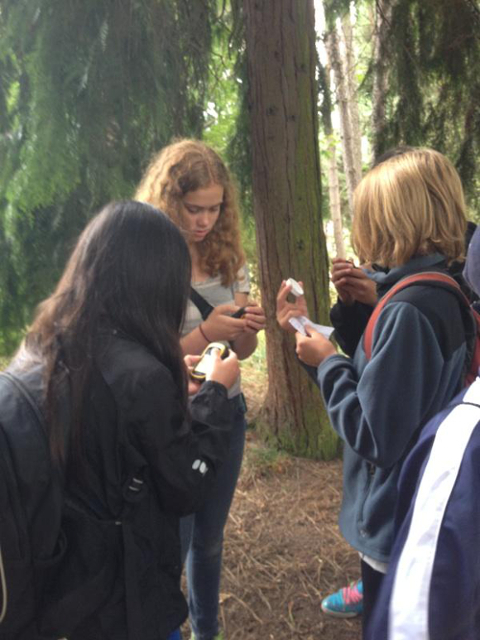 I really like geocaching now and I am excited to continue it in the future.” – Ike E., age 14. 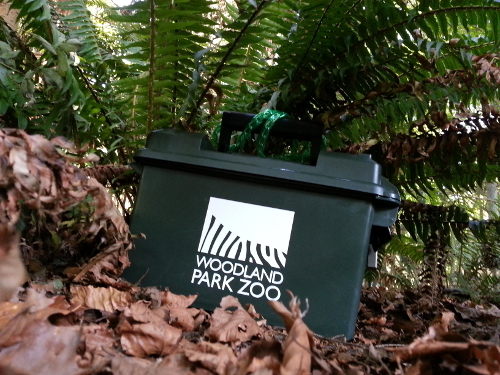 All three caches have been placed with permission and can only be accessed when the zoo is open. Check out the cache pages to plan your hunt! Woodland Park Zoo cache. Not pictured in actual location--no extra clues here! A special thanks for this great read. ! I'm so glad to find your page. My kids and I really enjoyed it ! Giraffe calf is a boy!